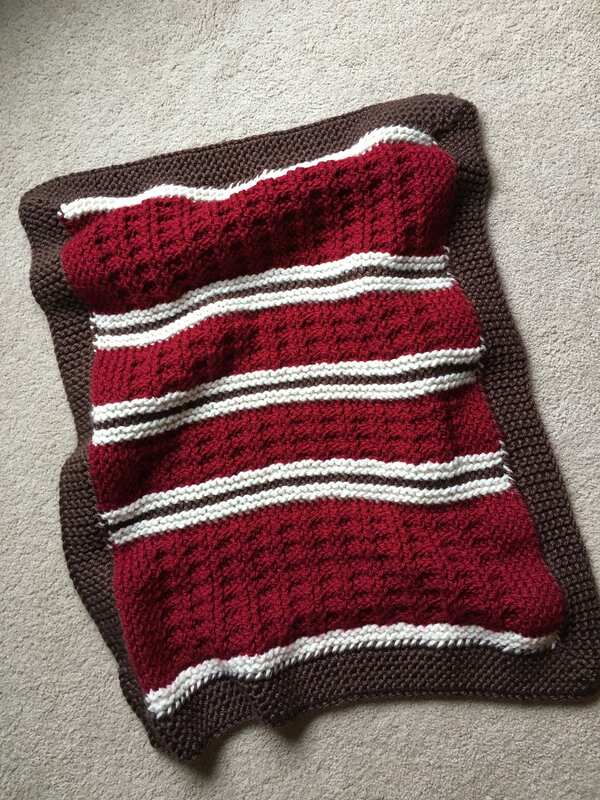 Your special baby will feel so loved when cuddled up in a Mountain Cabin Baby Blanket. 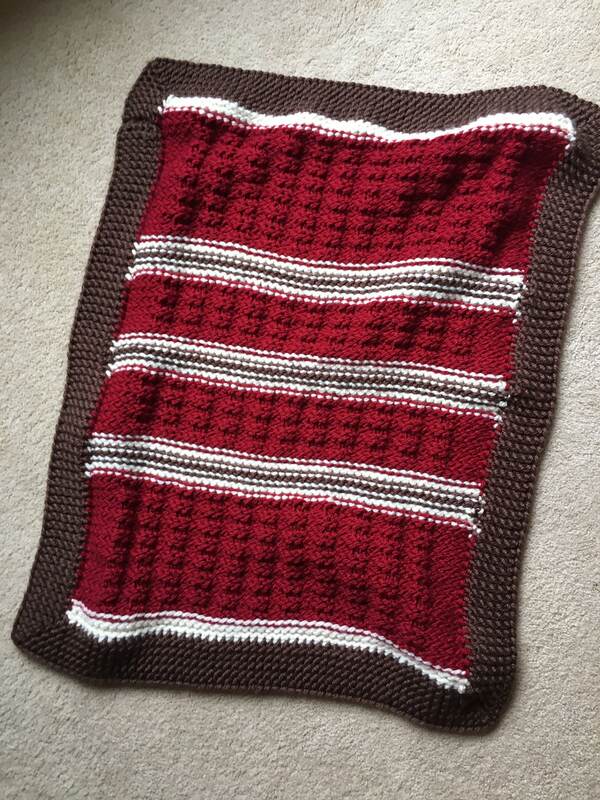 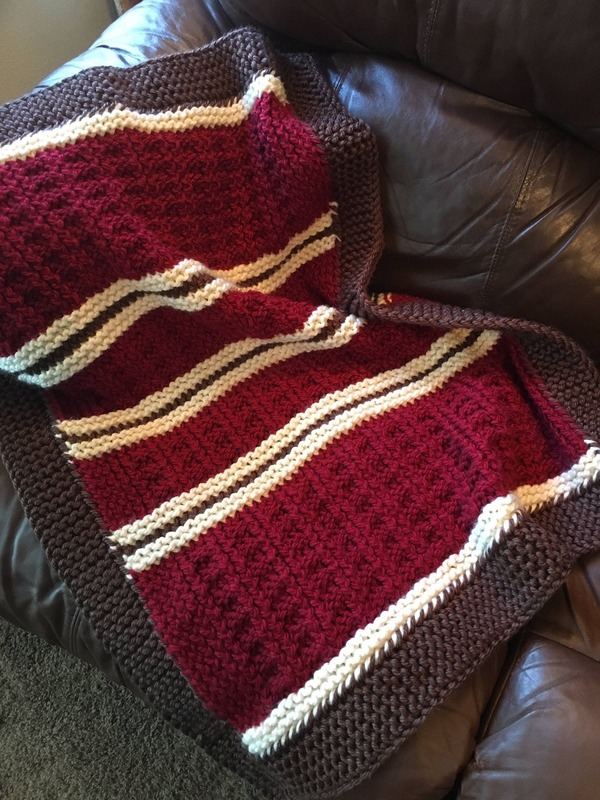 The soft yarn, the inviting textures, and eye-catching stripes make this a blanket to cherish. 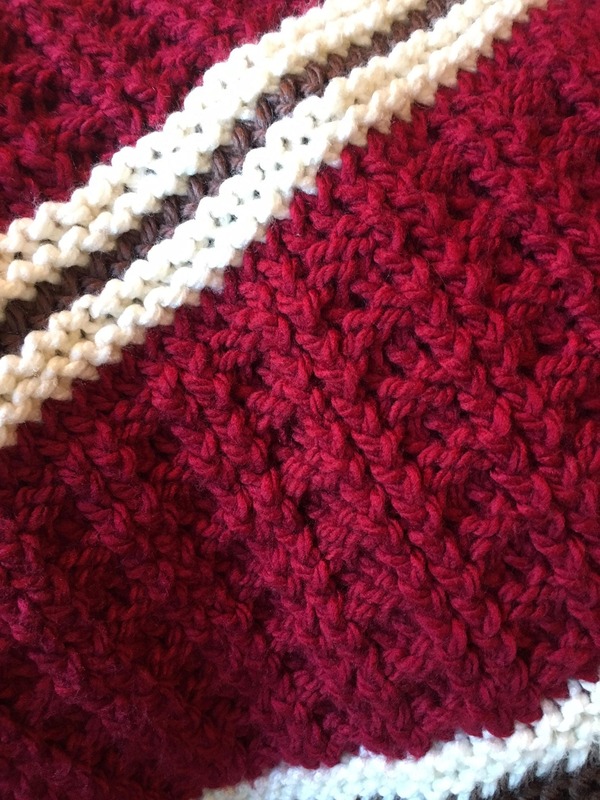 The written pattern stands alone, or you can watch a video tutorial on my YouTube channel on how to Loom Knit the Garter Ridge Edge on a Blanket for additional help.